How do I organize my docs in Google Drive? 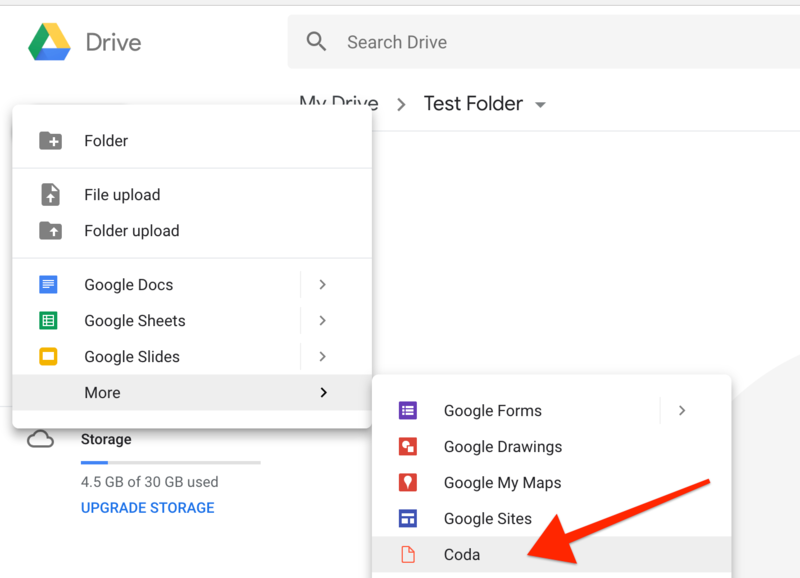 While Coda docs are designed to be created and managed from coda.io, we understand that some users prefer organizing their docs from within Google Drive. By default, any docs that you create in Coda will go into your home folder in Drive. Feel free to re-arrange docs as needed—they'll still continue to show up in your docs list on coda.io. If you'd like, you can also create Coda docs directly from Drive, which will create them in the current folder. Note that we recommend against sharing Coda docs from within Drive, as doing so will not send Coda notification emails or enable other collaborative features.